The wonderful Waterfront Splendour has been gathering rave reviews from guests. Easy to see why with this amazing luxury home having all the facilities and style for the most discerning of guests. 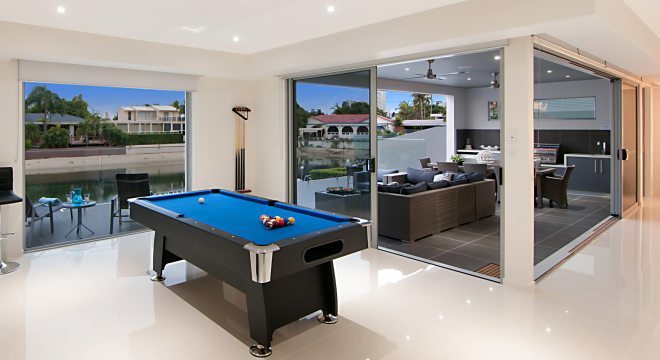 Relax with a game of pool....by the pool!